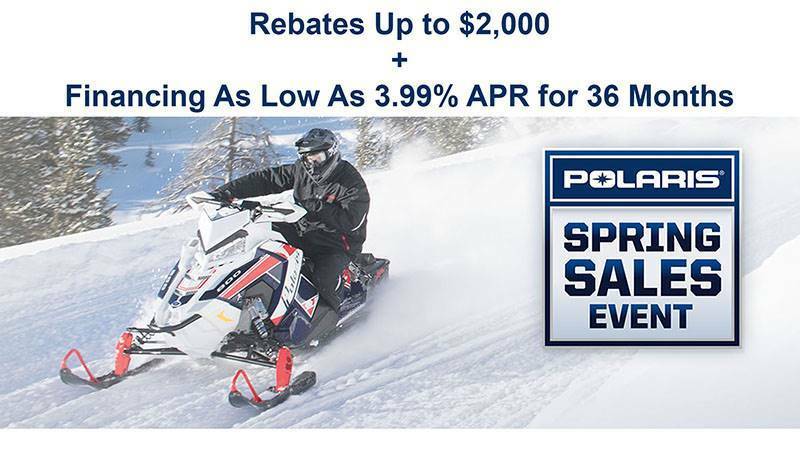 Spirit Lake Motorsports has a brand new 2019 550 Voyager 155 ES, Sonic Blue for sale, MSRP is $8,399.00. 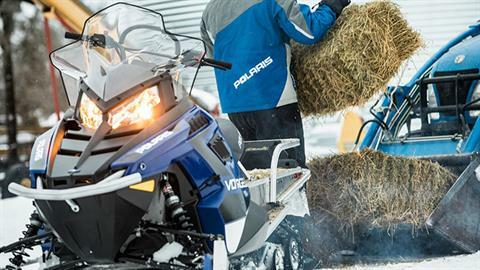 Ultimate Flotation - The Voyageur 155 is built to deliver performance wherever your snowmobiling day takes you. 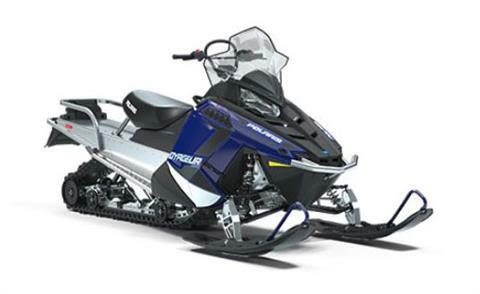 From accessing the powerline to checking the trap line, aggressive tracks and tough, wide skis keep you on top of the snow. 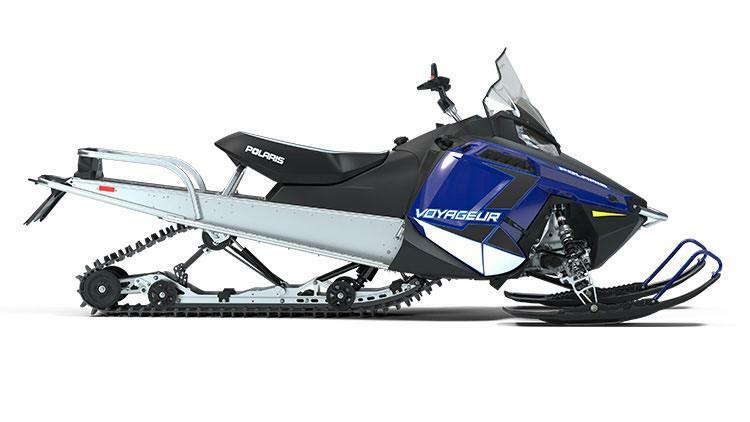 Limitless Possibilities - The Voyageur 155 is for riders that want an agile, all-purpose sport-utility snowmobile plus superb handling both on- and off-trail. Unmatched Hauling - With its hitch, rear rack, and Polaris rear suspension technology, the capable Voyageur 155 maintains control and precision whether under the load on-trail or in the deep snow. Proven Handling - With the perfect blend of Polaris suspension technology, the Voyageur 155 delivers the best off-trail performance with confident trail handling at any speed.